The closure of an inquiry by the CBI into Adani Enterprises allegedly importing power-equipment at inflated prices, in collusion with officials of six public sector banks (PSBs), has come in for scathing criticism by lawyer Prashant Bhushan, who has described the investigating agency’s decision as an “abuse of authority” by the government. The CBI told the Delhi High Court on May 1 that it had closed the preliminary enquiry (PE) as the matter related to the intra-state transmission network within Maharashtra and was outside their jurisdiction as it concerned the state. “CBI has done this under pressure,” Bhushan told IANS, adding that the agency’s contention that it needed the Maharashtra government’s nod to proceed in the matter did not have any merit. Bhushan said the CBI PE into over-valuation and over-invoicing, coupled with the extension of credit facilities, was also against PSBs. And the banks certainly fall within the jurisdiction of the agency. 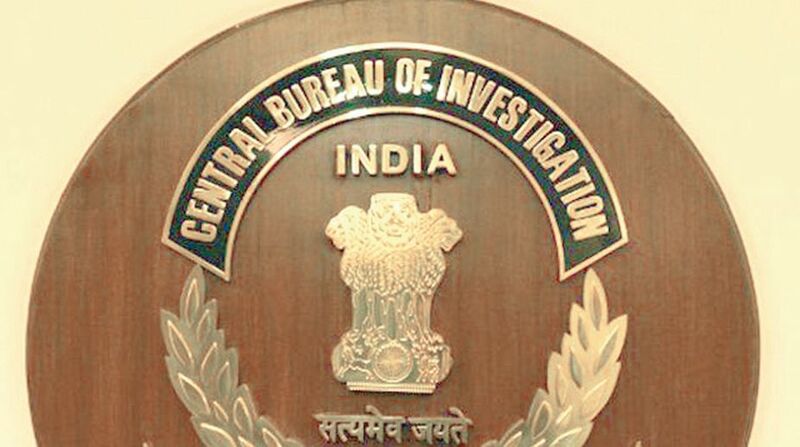 CBI does not need any sanction for inquiring into the questionable acts of PSBs, Bhushan said, pointing out that “even otherwise it (CBI) could have taken sanction of the state government, which it did not”. When contacted by IANS, the CBI refused to comment on the matter, saying the agency’s affidavit in court explained its position. On the basis of a “source information report”, the CBI had registered a PE against Maharashtra Eastern Grid Power Transmission Company (MEGPTCL), PMC Projects India Pvt. Ltd., Adani Enterprises, Maharashtra State Electricity Transmission Co. Ltd and unknown officials of six public sector banks. The six PSBs are State Bank of India, Punjab National Bank, Vijaya Bank, Oriental Bank of Commerce, State Bank of Mysore, and Canara Bank. The PE was registered to enquire into the allegations of credit facility being extended to procure power generation and transmission equipment/machinery from various vendors in South Korea and China, and of their over-valuation and over-invoicing, allegedly to siphon off the funds. The purchase of power equipment was routed through the Adani group’s UAE-based company Electrogen Infra FZE, Dubai. Also included in the inquiry was the impact of the exaggerated project cost on tariff fixation as well as the provision of excess finance by banks to fulfil the margin money requirement without infusion of any capital by the Adani group. The CBI on Tuesday told the court that the core issue of the PE registered on June 12, 2014, pertained to intra-state transmission network within Maharashtra. The CBI said that since the project came within the domain of Maharashtra state, it could not make much progress in the enquiry and the PE was closed on July 15, 2015 — nearly a year after it was registered on June 12, 2014. Counsel Pranav Sachdeva, who is assisting Bhushan, said the petitioner NGO CPIL’s case was that the Adanis, by using their UAE-based Electrogen Infra FZE, were inflating the prices of the equipment, thereby cheating shareholders of the publicly listed Adani Enterprises of their rightful gains. Sachdeva also contended that the inflated cost of power equipment would eventually have to be borne by consumers by way of higher tariffs. Sachdeva said that even though equipment from the manufacturers came directly to India from South Korea and China, documents of the transaction were routed through Electrogen Infra FZE, according to an investigation by the Directorate of Revenue Intelligence (DRI). He alleged that bank officials had colluded in the dealings.